Prolman Realty, Inc. and The MEG Companies are pleased to announce that Anytime Fitness has leased 5,400 square feet at the Hudson Mall 77 Derry Road Hudson, NH. 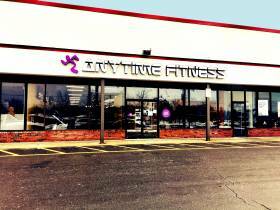 Anytime Fitness is a 24 hour health and fitness club with over 3,000 franchised locations in 20 countries. Andy Levy of the MEG Companies represented the Lessor, Hudson Vickerry Leasing, LLC and Lisa Ferrari and Mark Prolman represented Hudson Health, Inc. the Lessee.